When choosing engraving, we have many options of font that you can choose from. 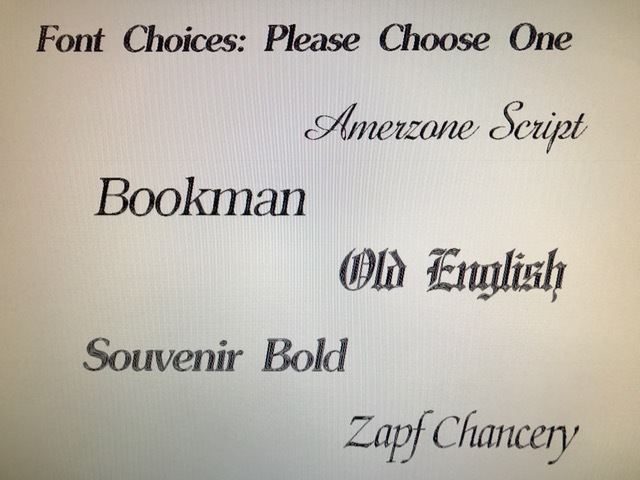 Here is a list of our favorite fonts. 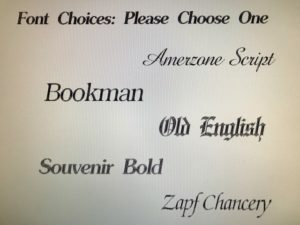 Upon ordering, you can let us know your font choose by simply shooting us an email.